The Europeans swept a foursomes session for the first time yesterday afternoon (Sept 28), rallying for a two-point lead from the opening day at Le Golf National and stunning the Americans. World number six Rory McIlroy, who joined Ian Poulter in beating Bubba Watson and Webb Simpson 4 and 2 in foursomes, expects a heated US challenge. 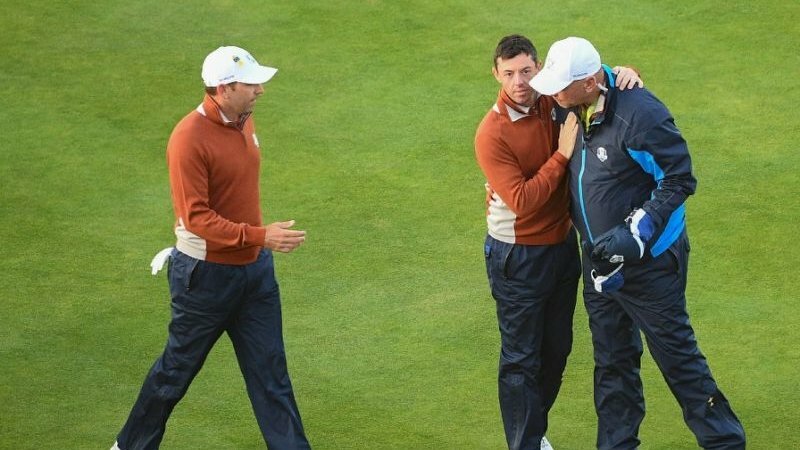 And US captain Jim Furyk said his side was not distraught at the early stumble. European captain Thomas Bjorn went with experienced pairings to open day two, starting with four-time major winner McIlroy and 2017 Masters champion Sergio Garcia against Tony Finau and third-ranked Brooks Koepka, this year’s US Open and PGA Championship winner. Bjorn did his best to keep the team focused on the work to be done and not the final goal. Italy’s Francesco Molinari, the reigning British Open champion, and England’s Tommy Fleetwood are rematched against 14-time major winner Tiger Woods and reigning Masters champion Patrick Reed, whom they beat on the way to a 2-0 start to their Cup. Englishmen Paul Casey and Tyrrell Hatton were paired again against top-ranked Dustin Johnson and Rickie Fowler. And Poulter will join Spain’s Jon Rahm in facing US boyhood pals Justin Thomas and Jordan Spieth. “We’re obviously enjoying the fact of winning an afternoon session 4-0,” Poulter said.